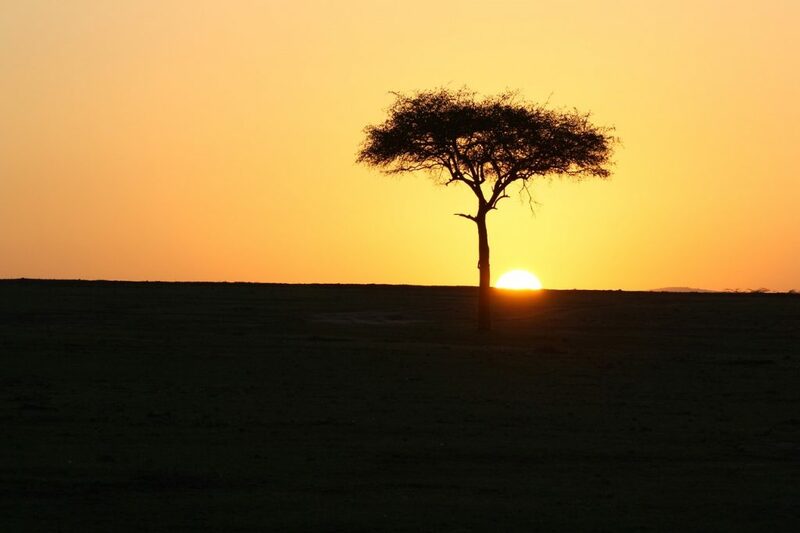 If there was to be one reason that most people are drawn to Kenya, the Masai Mara Safari would be that reason. 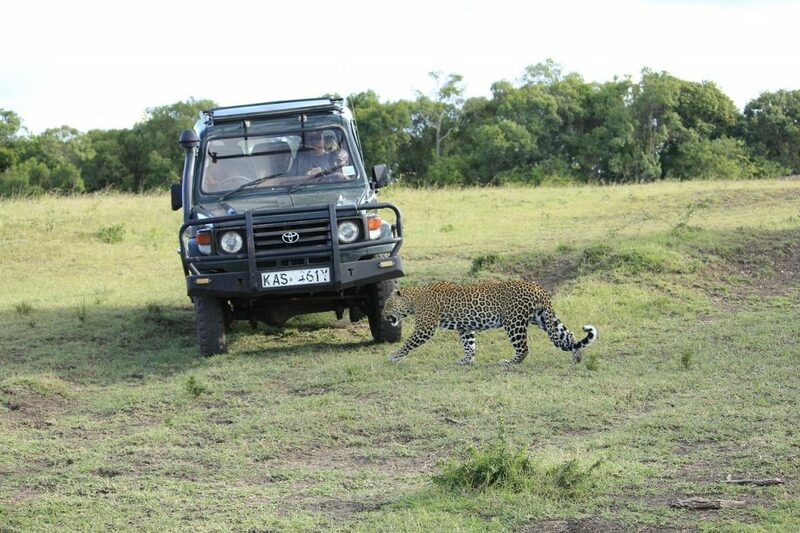 Travellers who have heard nothing about the country will tell you they have heard about this safari. The locals call it the Mara. This is something that you would find yourself adopting, rather easily. Kenya has that effect on many people. When you are here, you want to believe that this is home. For most Westerners travelling here, this is what the movies have been selling us for generations. The wild and open savanna where animals of all shapes and sizes are roaming. This is what we have seen in wildlife documentaries. The real jungle! Where animals fend for themselves and the fittest survive. The land you see today is where the Maasai tribe had resided for generations. As the story goes, once we find something that brings in more money, we push the rest aside. They have had to make way for animals. The safari provides employment and some form of income to many people directly or indirectly. There are a lot of virtues to it. This is something that stretches beyond the game reserve. Travellers wander out into villages as well. On the Northern Extension of the Serengeti Plains sits the Masai Mara National Reserve. It is perfectly placed for wildlife. With access to water from the Mara River and the Talek river as well. All of this is spread across a gigantic area of over 1500 square kilometres. The open grassland nature of it is such that animals can roam far and wide without the hindrance of fences or gates. Nature really being nature. There are more animals on the Western side of the National Reserve. This keeps them close to the swamp and access to water. It is not advisable to drive in the swampy area during the rainy season. The entire reserves is packed with animals. You will encounter all kinds of creatures, great and small. 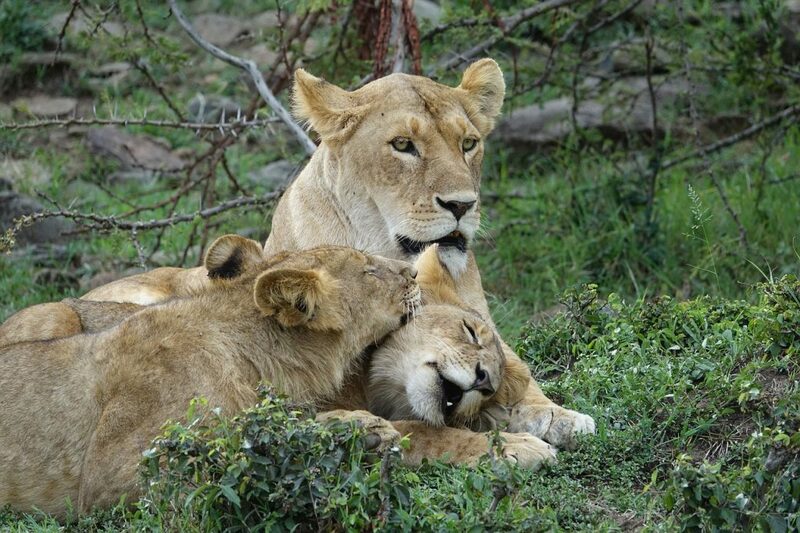 Lions are the most common cats that you will spot as you wander about. Leopard and cheetahs tend to the shy and harder to come by. The same can be said of the black rhinos. Despite their size, they can be hard to spot. You shouldn’t have much trouble coming across elephants. They tend to roam in a predictable manner. The guide would usually tell you what area of the reserves you likely spot them at whatever time of the day. Other animals you will see include, gazelles, buffaloes, zebras, impalas, giraffes and baboons. One of the biggest tourist attractions as far as events go is the Wildebeest Migration. It takes place in July and in August. This is when hundreds of thousands of wildebeests move from the South of the Serengeti to the North. They then do the return journey. This is all is the search for the proverbial green pastures. It tends to get quite crowded at this time of the years, as tourists flock in to witness this grand spectacle. Remember the scene in the lion king where Simba’s father is killed. This migration is similar, minus the killing of course. If you do not quite fancy taking a drive around the park. The Maasai Morans will offer you a chance to walk in nature. This is a walk that takes place just outside of the reserve. There is still quite a lot of wildlife to be seen. The Moran and very experienced as they have lived in the area with animals for generations. You will be charged for the Moran’s time, as well as for the private land that you will cross. If you have more money to burn. Ballooning is another way to enhance your experience of the Masai Mara Safari. It will set you back up to $400. This will depend on what else you would like to add to the tour. You get to see animals that you may have perhaps missed had you been on the ground. Plus you also miss out on the chaos of running into other visitors. Seeing the Wildebeest migration from the air would be a treat. 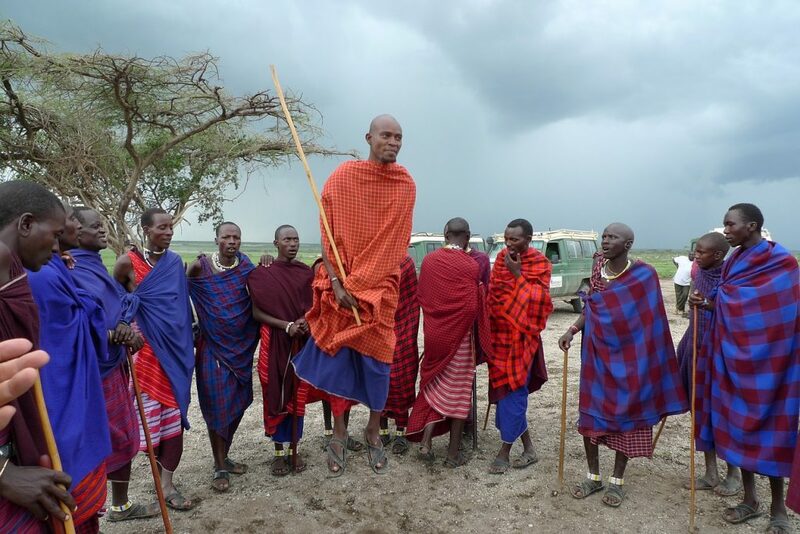 You cannot come to Kenya as a learned individual and not be curious about meeting the Maasai. The Maasai Village is open to visitors. They charge around $10 per person to wander in and experience it all. This is best done in small groups. Not only would you get a better experience overall, but the villagers are more receptive. If you are on a tight budget consider camping near the gate or along the Mara River. The campsites are quite cheap. They will set you back about $12 on their highest end. The cheapest can be as little as $3 per person. If you are looking for something more premium. Perhaps you have come on a honeymoon. The last thing you want your spouse to experience is a $3 campsite. There are several lodges that offer great accommodation at a more premium rate. The most expensive of these will set you back about $300 for full board in the busy season. The cheapest one would be about $55 for a single bed with full board. The downside of all of this for most travellers is the creeping costs of being haggled and often being charged for things that you should never be charged for. After all, that is said and done. This experience is one like no other. It must be done. This is one that should certainly be ticked off the bucket list. Don’t just come here for the animals. Get out there and meet the people. Kenya is a former British colony so you tend to meet English speakers. Learn about the cultures. Buy souvenirs direct from the people.